Please select hotel type first for more accurate booking price. After breakfast at the hotel, proceed for Hanoi City Tour which covers Ba Dinh Square, Ho Chi Minh Mausoleum & Residence (exterior only) – (closed on Mondays, Fridays & whole month of October & November), One Pillar Pagoda, Temple of Literature (The 1st University of Vietnam) and The Al Nour Mosque for praying. After lunch, depart overland to Ha Long City. 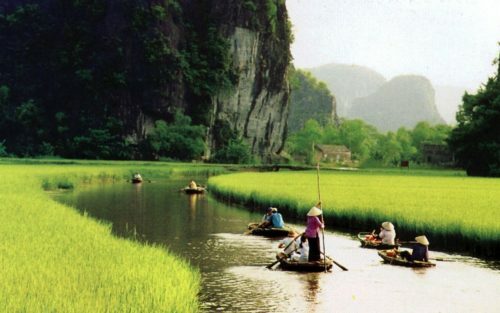 Ha Long Bay was awarded by UNESCO as a natural heritage in 1994. This 04 hours drive will show you the diversity of the North Vietnam Villages and rice fields, peaceful villages along the way. Upon arrival at Ha Long City in the late afternoon, transfer to hotel for check in and dinner at local restaurant. Overnight in Ha Long City. 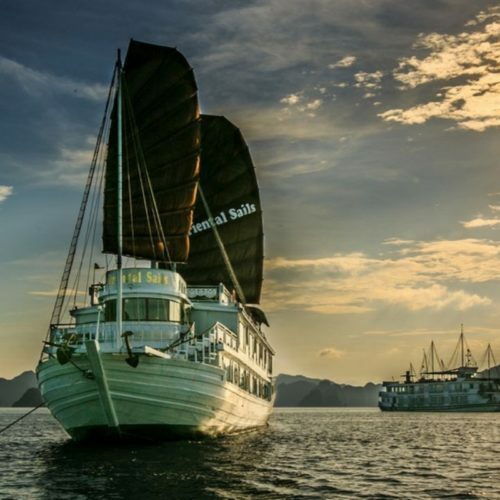 After breakfast at the hotel, proceed for a half day boat trip to discover wonderful Ha Long Bay. Admire hundreds of wonderful limestone formations arising from emerald green water, visit the dramatic caves, grottos such as : Paradise Grotto. Lunch will be served on boat with the fresh seafood. 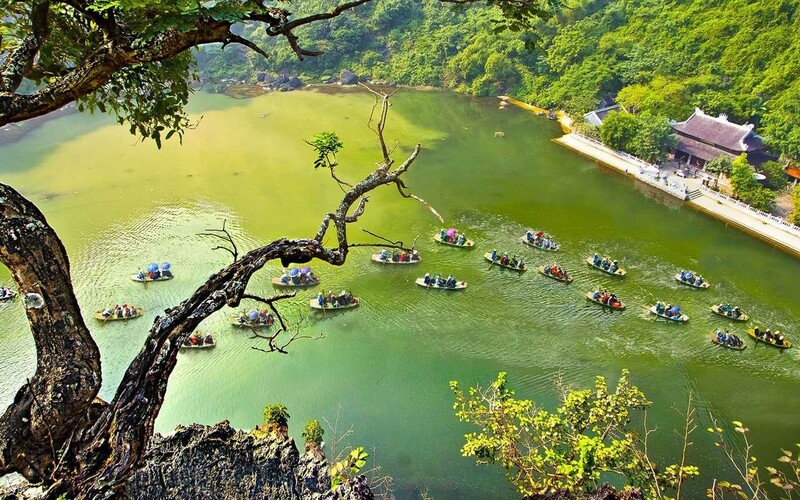 Then, return to Hanoi and en-route to visit the Dong Trieu Pottery Village, follow by Hoan Kiem Lake, 36 Ancient Streets (Hanoi Old Quarter) and Dong Xuan Market for shopping. Dinner at local restaurant before check in to hotel and free at own leisure. Overnight in Hanoi. 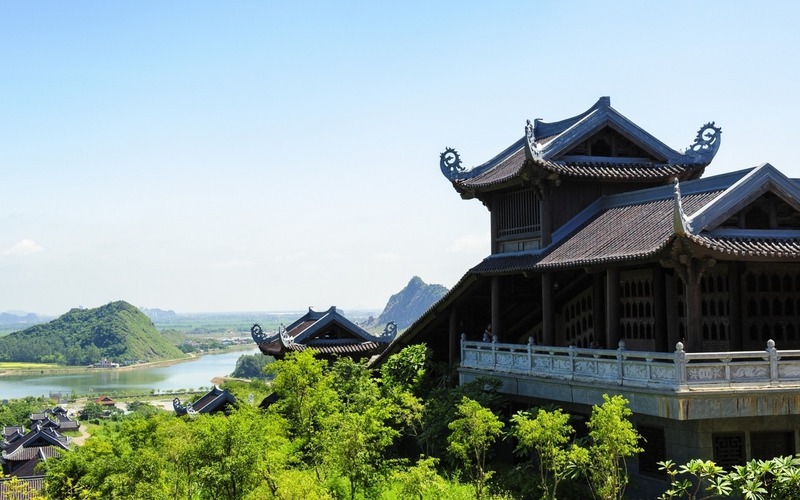 After breakfast at the hotel, depart for Ninh Binh province, the journey takes approximately 02 hours. 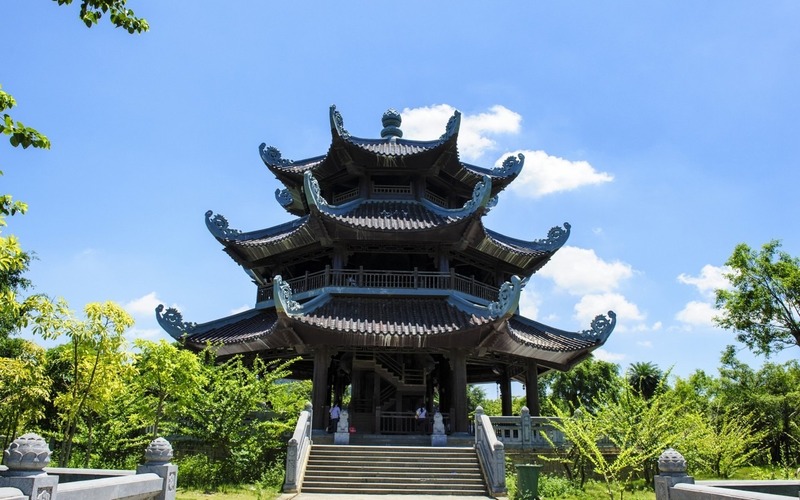 Upon arrival, visit to Buddha Prayer place in Bai Dinh Pagoda, the biggest pagoda in Vietnam with 500 La Han statues and also the biggest bronze Buddha Statue in Vietnam with 10 meters in height & 100 tons in weight. Lunch will be served at local restaurant with some local special dishes. Thereafter, proceed for visit to Trang An tourist attractions, enjoy boat trip to visit cave complex : Sang Cave, Toi Cave, Ba Giot Cave & Nau Ruou in mystery and wildness, witness breathtaking scenery of mountain and rivers. Return to Hanoi and free at own leisure. Overnight in Hanoi. After breakfast at the hotel, free at own leisure until time to check out and transfer Noi Bai International Airport for flight back home. 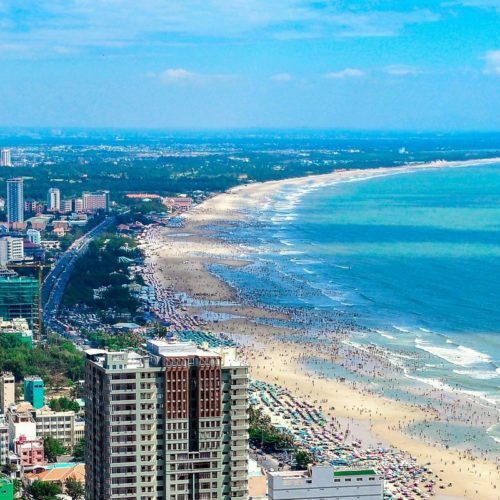 Travelediary.com is a provider of online holiday packages, offering great service and various packages with special discounted rates. The management has been aggressively involved in travel & hospitality industry for more than 15 years and operating in accordance with the highest ethical and business standards. Copyright Ⓒ 2018 Tripediary Enterprise. All Rights Reserved.